Heavenly Father May we realize that life is like a coin – we can spend it any way we want – but we can only spend it once. 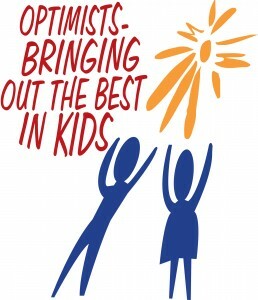 For us to be Optimist we must look at service as a joy and not a duty. We demonstrate the truest faith when others see You in us. The cost – is the amount of our life we put in it. You have established us as men and women of purpose in Your Kingdom. Sometimes good things fall apart so better things can fall together. Help us be Your hands and heart were ever You my lead us. Amen! Jesse Gaither demonstrated the new and improved CNO tent and banners. This can be set-up by 2 individuals and has a carrying case on wheels. This is such a nice improvement for our club and will be visible at all events. The Chuck Dickerson Memorial Scholarship was established in 2018 by the family of Chuck Dickerson. Chuck was an eternal optimist and entrepreneur who believed in service to his family and community. Chuck lived his life by the optimist creed, remaining too large for worry, too noble for anger, too strong for fear, and too happy to permit the presence of trouble. 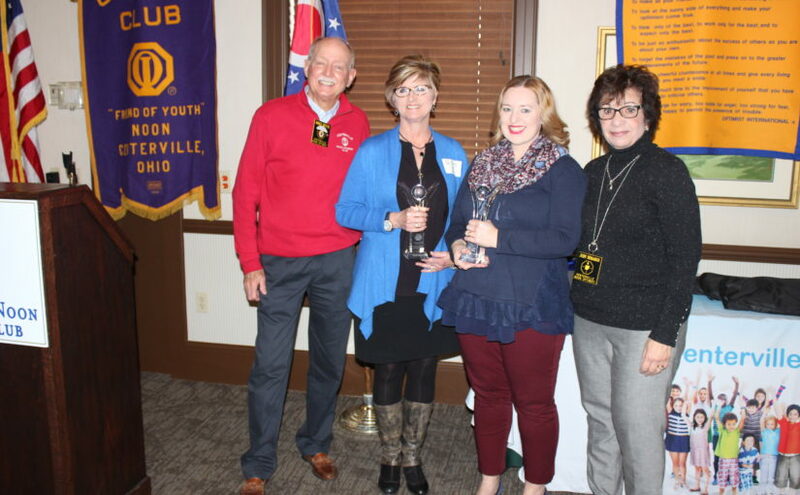 The scholarship is for children or grandchildren of current or past members of the Centerville Noon Optimist. The next deadline for submission is 3/8/2019. Diane Arehart, social committee, announced that there is a Dinner/Euchre party on Saturday, January 26, 2019 at 6PM at Bennett’s Publical Family Sports Grill in Miamisburg. Cost is only $5/person. President Donna Huss said thanks to Barbara Santo for providing the deserts for the birthday table. She always does a great job. Bob Duffy’s birthday is on January 15 and that was today’s date! That means Charlie Tapp was tapped to conduct a loving yet audibly awful rendition of Happy Birthday. Thanks to the everyone who sang today for their extreme efforts of musical embarrassment. Judy DeMarco introduced Tonya Johns, who is a Volunteer at Epiphany Lutheran Church. She started Operation Prom Dress in 2011. This outreach event gives each young woman a dress, shoes, purse, hair styling, make-up, a meal, various door prizes and a bible. She briefly spoke about this project. Operation Prom Dress began in 2011 because a youth group member could not afford a prom dress. Tonya researched and found a program from other states where they collect used prom dresses and distribute them to girls who cannot afford to buy a new dress. She and her friend April started Operation Prom Dress to address this need. They have a lunch with an onsite professional photo shoot. Each year approximately 200 youths are served. They have about 150 volunteers. Many of those who were served are now dedicated volunteers. Tonya said she was honored to accept this award on behalf of Epiphany church and the volunteers. Epiphany Lutheran Church at 6430 Far Hills Ave accepts donations that help with this project, including dresses, shoes and handbags. Mike Bevis introduced Jani Rice, who has been a nurse with Dayton Children’s Hospital for over 30 years. Jani wears many hats in the hematology and oncology department. She is the Long Term Follow Up and Bone Marrow Transplant Nurse coordinator as well as manages an off-site clinic in Middletown. She helped expand the fertility preservation program, obtaining funds to help offset costs for the patients and created and implemented education sheets for the fertility program. Jani created a binder to educate and ease the minds of the parents of patients. Jani briefly spoke about her work. She thanked us for recognizing her work. She has worked with fertility preservation since 2000. She never thought she would get an award, she was just doing her job. The fertility preservation service was researched, and it is a huge quality of life enhancement for those who will likely be infertile in the future. She knows 2 ladies so far who have had children that would not have been able to without this fertility preservation program. Kate Barrett, the nurse manager at Children’s also spoke about the great service Jani does. She is very proud to work with Jani who she said is an amazing nurse. Please let Mike Bevis or Judy DeMarco of anyone you know who goes above and beyond in helping the youth in our community. The nomination form is available here. Don Skelton It has been two and half years since he last attended a CNO lunch. Mike Brubaker Stole 2 of the 7 50/50 Tickets Sue Brubaker bought. Anyone with a birthday this month Not sitting at the birthday table. Scott Langer Late to the meeting. Mike Yoder Since current CNO Sergeant Chris McAlpine gets a speeding ticket every couple of years, he decided to fine Mike as well. Diane Arehart Asking for change of a $20 in order to buy 50/50 tickets. Bob Burkman Carol Burkman is walking around without a cane. She is feeling much better. Charlie Tapp Thankful for the big goody bag from Childhood cancer committee for his granddaughter Gracie. Kate Barrett (guest) Thank you to CNO for everything it does for Children’s and the area. Laurie Poeppelman Thank you for the wonderful flowers sent for her mother-in-law’s funeral. Sue Brubaker Now has 7 tickets for 50/50 drawing after getting back two of them from Mike Brubaker. Jean Pummill Was able to attend meeting without her scooter. Jean Pummill Granddaughter born over the weekend. Casey Wyckoff Thank you to everyone for helping her with the CCDHH. Art Hung Thanks to Dayton Children’s for taking great care of his son. Myron Rheaume Glad his wife Charla could attend today’s meeting. Myron Rheaume Wife wasn’t fined even though it was not her birthday and she sat at the birthday table. Donna Huss Thanks to Casey Wyckoff for chairing CCDHH.